As shown on this map, termites are very common in Alabama. Signs can vary depending on the length of time they have been there and the age of the termite. They are often confused and called “white ants” or “flying ants”. One sign of termites can be what looks like a white color or clear colored, these are foragers and do the most damage. They feed off of the cellulose containing materials in, around, and under structures. If they are there for enough length of time then they can eventually jeopardize the integrity of what could be your home or business. Termites will burrow their way to wooden structures and into which they burrow to obtain their food. They do so by using what are called tunnels or “dirt tunnels” that can be visible, depending on the location. Termites need a constant watch to protect your home or business from literally being eaten around you. Termite cause more the 5 billion dollars a year in damage to structure across the country. The average colony can consume 12’’ inches of a 2×4 per year, so if left unattended they can cause some serious damage. There are several different type of Termites in the U.S., but there are two that have been seen in Alabama. 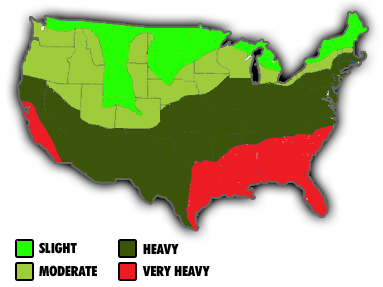 The Eastern Subterranean Termite are slower moving termites that have been more native to Alabama over the years. The other termite that has shown itself is the Formosan Termite. These termites are one that can eat your entire home in 2 years, they move a lot faster. There have not been many cases of these in the state of Alabama but still need to be watched out for. 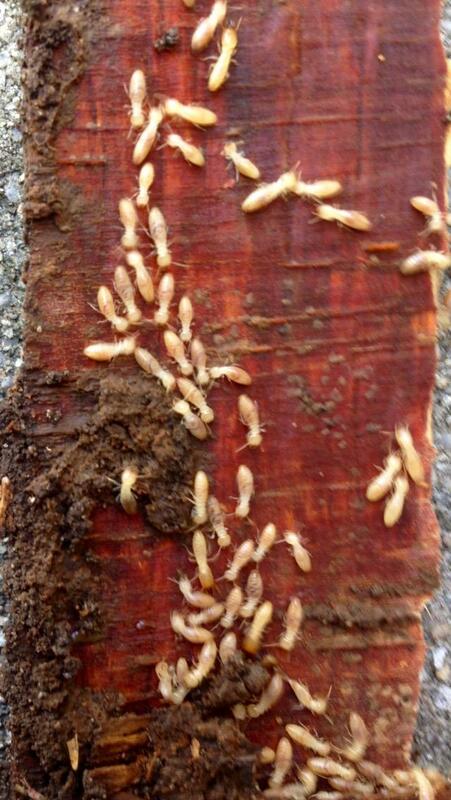 Another visual form of Termites are what is called an Alates or “Swarmers”. These are the ones that are usually called “flying ants,” because they are black in color and have 4 clear wings. These don’t do the damage they are spreading to start another colony of termites. These are males and Females and are easily spread by the wind. If you are seeing swarmers you need to have an inspection done on your home and possibly treatment for termites done. Termites do live in the ground and feed off trees etc. If they are coming from a portion of your home or right up against your home then you need to make sure that you are covered under a Termite Contract. This contract will provide you with an annual inspection to check for these signs. We at Guaranty Pest Control can provide you with a FREE estimate on what it would cost to treat your home for these destructive little ones.